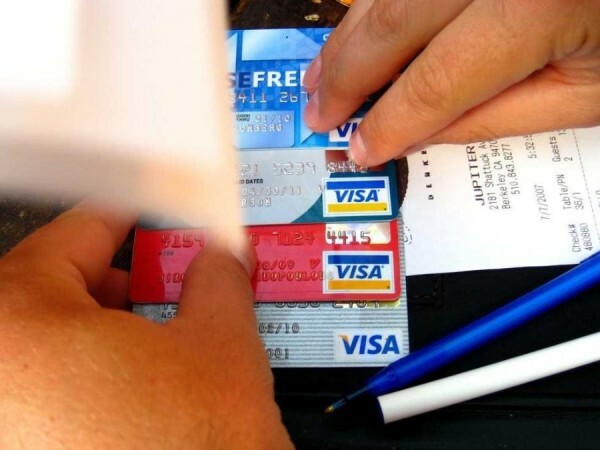 It used to be that many people would think that a credit card was their bets option when it comes to obtaining finance and taking control of their money. For some people, credit is best avoided but there are some people who can benefit from bringing credit into their life and taking better control of their money. However, there is no need to think that credit cards are the only option. There is a growing number of people who find that personal loans are the better option. This is why a lot of folk are looking to pay off their credit card and refinance their debt and existing money issues by the use of a personal loan. No matter what sort of credit you are looking for, you’ll find that the rate is the all-important thing. There is a need to look for the most attractive rate you can find. This makes sense if you are looking to lower the amount of money that you pay each month. This should be the most important factor because the more comfortable you are in paying off interest and debt, the quicker you can move to a financial state where you are confident and happy. The thing is though; it is not as though there is a universal rate being applied to the country or lenders. The rate that you receive can be very different from the rate that your neighbour receives, so it is vital that you understand what rate is on offer and that you do what you can to obtain a more attractive rate. It may be that you don’t have the time to improve your credit score before applying for a loan, credit scores can’t be magically improved overnight, but you should always be looking to improve your credit rating in the long run. You never what is going to happen in the future and having access to an affordable rate of interest in the future could make the difference in your life. This is why when you look to find the best finance solution for your current needs you should also have one eye on the future to ensure that you help yourself get assistance when you need it most. If you are looking for an expert’s opinion on why a personal loan may be of more benefit than a credit card, it comes with the fact that personal loans are usually amortised loans. This means that you can be looking to pay off the loan at the end of the term. This is something that many credit card holders struggle with and the fact that there is no end point in sight. When you take out a loan and you stick to it, you can be confident about the fact that you are heading in the right direction. This can be harder to achieve with credit cards, but of course, the nature of the credit card holder will have a lot to do with the overall outcome. You also find that a lot of loan providers are able to provide a more attractive rate of interest than credit cards. This is something that you should be looking out for and if the difference between the two is enough to make a difference to the amount of money that you pay each month, that is the option that is right for you. When it comes to finances, there is no need to worry about brand loyalty or which company has the best image or marketing campaign. You need to put yourself at the forefront of your decision and it comes down to your finances. If there is an option that allows you to receive the money you need at a more attractive rate, this is the option that you should focus on. At this point in time, it is clear that loans provide the option that people are looking for. This is definitely the case when it comes to guarantor loans because these provide a very attractive rate of APR. The presence of the guarantor makes all the difference for the lending company and you should find that the right guarantor can help you obtain a very attractive loan offer. If you have been struggling to find a loan because of your poor credit rating, taking yourself out of the equation is one of the smartest things you can do. This is why guarantor loans have been so popular amongst people of late. Previous : Choosing The Right Italian Wine For Your Business!